Sherwood High junior, state association president Hailey Hardcastle creates nonpartisan student guide. 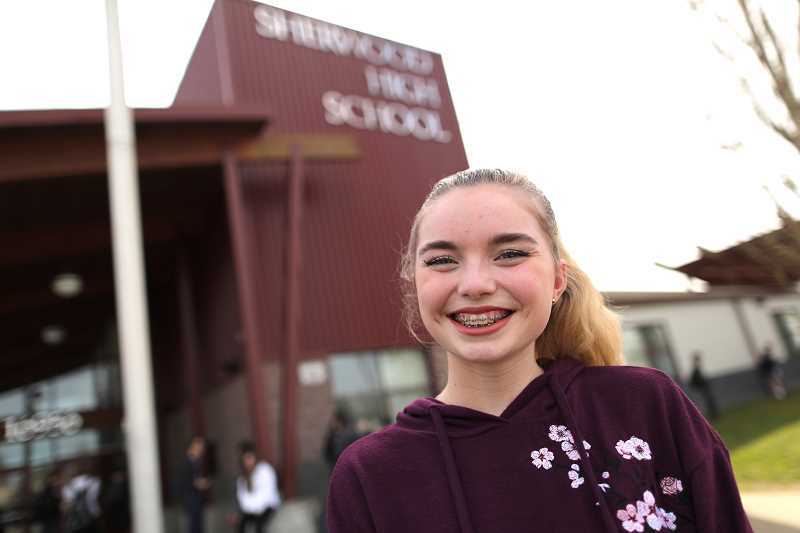 After a school shooting in Parkland, Fla., left 17 people dead in February, students at Sherwood High School were "definitely very on edge, as they are every single time after a shooting happens," said Hailey Hardcastle, a junior at Sherwood. Tensions eased as time passed, and as school administrators implemented new safety procedures, including keeping all entrances except the front door locked during the school day. But still, Hardcastle said, "most students I know do still have a bit of fear in the back of their minds while at school. I know me, my friends, and siblings certainly do." Since the Parkland shooting, students across the country have responded by organizing protests, social media movements and walkouts in favor of passing stricter gun control laws. Hardcastle is the president of the Oregon Association of Student Councils, or OASC. She said that while she can't express approval of those walkouts as OASC president, she is supportive of them personally. "OASC can't endorse the walkouts as they are a completely nonpartisan organization," Hardcastle said. "However, I personally believe that if a walkout is what it takes to make student opinions heard then they should by all means go for it. It is a fine line between compromising your education and exercising your rights, but overall I think it is a positive thing." As the leader of a statewide student organization, Hardcastle found a way to participate in the school-shooting conversation while maintaining the organization's nonpartisan nature. In a meeting of superintendents and school administrators from across the state last month, the association presented a document titled "What Students Can Do," a guide aimed at preventing school shootings by promoting inclusivity in schools and emotional support at home. See the OASC's "What Students Can Do" guide at this link.. The guide's suggestions for students, schools and families include the following: creating a "we dine together" club so all students have a group to eat lunch with; starting a peer counseling program; organizing and hosting mental health days at school; organizing a community potluck or barbecue; and promoting positive, inclusive actions and hashtags on social media. "We wanted to focus on building connections between students and their community in order to improve mental health," Hardcastle said. "It is obvious that mental health plays a key role in the whole conversation about school shootings and many students today do struggle with mental health problems. We feel that if students had a stronger support system, made of peers, family, and community, then it would help prevent such tragedies from happening as often." The document also suggests students contact their legislators with their own concerns and ideas for protecting students, though it does not take a position on what those suggestions should be. "I think the most valuable advice by far is to contact your legislators, because it's a quick thing that absolutely anyone can do to make their opinions heard," Hardcastle said. "Legislation to protect students will not happen unless people push for it by contacting their representatives." In addition to presenting the guide to Oregon educational leaders last week, the association plans to send it to student council leaders in all 50 states. The recent push for stricter gun control laws — which has already helped pass legislation in Oregon and Florida — is one led by teenagers, and Hardcastle believes they have the potential to enact more change. As long as adults listen to them. "We live through this everyday so we have some very strong opinions," she said. "Talking about these issues before they happen is extremely healthy and is really the only thing that can bring progress."